Charlton Heston, kneeling on the beach with his fists pounding the sand, cursing humanity before a half-ruined Statue of Liberty. It’s needless to clarify that this is the culminating sequence of the first version of The Planet of the Apes (Franklin J. Schaffner, 1968), one of the most memorable endings in the history of cinema. So powerful was the impact of that clash between primates that the idea has been revisited many times, extending the legacy of the French writer to whose pen we owe this science fiction classic. 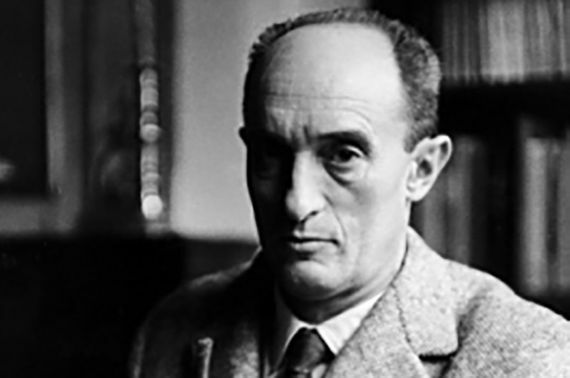 And this is despite the fact that Pierre Boulle, who died 25 years ago this month, disliked that his novel was classified as science fiction. A great work transcends its author, taking on a life of its own, and his universe of apes did so starting from that ending, which, ironically, was not included in his book. Of course, in reality, Heston never knelt before a half-ruined Statue of Liberty… But let’s start at the beginning. Pierre Boulle (February 20, 1912 – January 30, 1994) was a man who “didn’t like to talk,” recounts his son-in-law Jean Loriot-Boulle, the widower of Françoise-Caroline, the niece and almost adoptive daughter of the writer. An engineer first before becoming a writer, between the two occupations he surreptitiously sneaked in a third job very suitable for a quiet man: a spy. Working as an engineer on a rubber plantation in Malaysia during World War II, the Nazi occupation of his country induced him to join the Free France Mission in Singapore, operating as a secret agent with a false British passport until he was captured and subjected to forced labour for two years. After reinventing himself as a writer after the war—always writing by hand—that experience would inspire the first of his two best-known works from among his 42 novels: The Bridge over the River Kwai (1952), an international bestseller that David Lean would take to the big screen five years later. The film won seven Oscars, including Best Adapted Screenplay by Boulle himself, despite the fact he hadn’t written it (its true authors had been blacklisted as a result of the so-called witch hunt against communism). 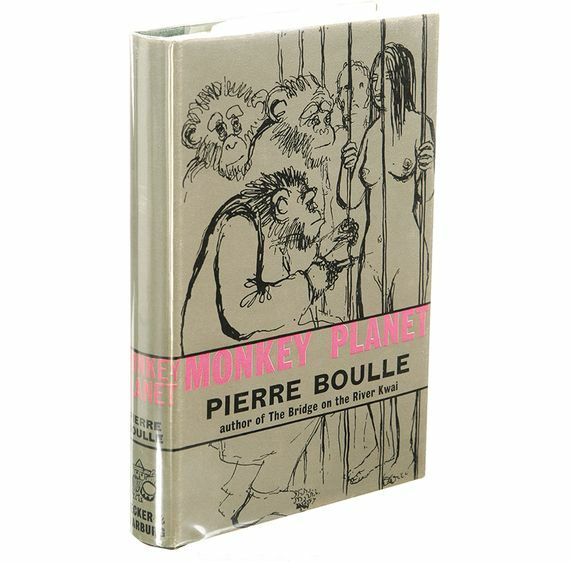 Thus, when Boulle wrote The Planet of the Apes (1963), he was no stranger to success. The producer Arthur P. Jacobs bought the rights even before the novel saw the light of day, although it would be several years before shooting began. Along the way, two Hollywood writers, Rod Serling and Michael Wilson, were restructuring Boulle’s story to give shape to a script that retained the basic background, but whose form clearly differed. The novel is set in the year 2500, when three human explorers leave on a spaceship heading to the red giant star Betelgeuse (Alfa Orionis). 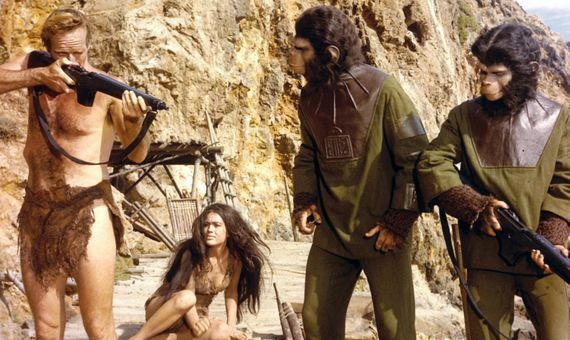 Arriving at their destination, the travellers find a planet where humans live in the wild, subjugated by the advanced technological civilisation of apes. The difficulty of translating this premise to the cinema with the cinematic means of the time led the filmmakers to opt instead for a more primitive simian society. Throughout his plot, Boulle displayed his knowledge of science. “He was always observing things from a scientific point of view,” says Loriot-Boulle. “He was very strong in mathematics, physics, astronomy…” Thus, his spaceship travelled at an infinitesimal level below the speed of light, which allowed him to put into practice the principle of time dilation according to the relativity of Einstein: a year of acceleration, a year of deceleration and, between them, some hours that would pass on Earth as centuries. The novel examines concepts such as solar sails—propelled by stellar radiation—or Pavlovian conditioning—used by the apes to train humans—and, of course, the humanisation of the apes. There is no doubt that his work has endured as one of the timeless classics of the genre. For the writer, editor and science fiction critic Miquel Barceló, “it turned out to be a very good science fiction adventure novel, with a final surprise,” he tells OpenMind. But undoubtedly the most drastic change between the book and the film was precisely that surprise: in the book, the protagonists returned to a future Earth to discover that humans and apes had suffered the same fate as on the planet orbiting Betelgeuse, an ending more similar to the version that Tim Burton shot in 2001. Instead, Schaffner’s movie concluded with the revelation that everything had happened at home. With that finale, according to Barceló, “the film version improved on the novel“. Several people can take credit for the idea: Serling, Jacobs or even director Blake Edwards, who was under consideration to captain a legendary production that for five decades has left us glued to our seats watching a shirtless Charlton Heston kneeling before… before nothing, really; the statue was a matte painting on a sheet of glass between the camera and the characters. They call it the magic of cinema; but Arthur C. Clarke, another great visionary, said that all advanced technology is indistinguishable from magic.